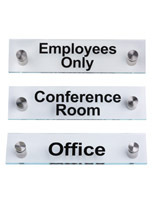 Adding a directional signage system to your establishment doesn't have to be difficult. 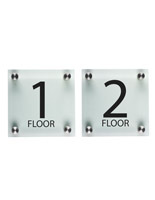 These wayfinding wall signs are stocked for immediate shipment featuring the most common room designations and floor markers. 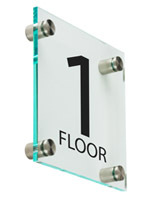 Combining sign standoffs with green-edge acrylic plates, the interior directional signs provide a contemporary and clean look. 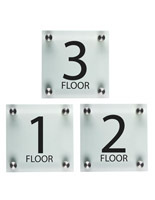 The wayfinding wall signs are available individually if all you need is one type of moniker, however we also offer bundles in a number of combinations to facilitate the ordering process. 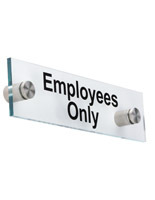 1/4" thick green edge acrylic plaques with machine polished edges and pre-drilled holes. 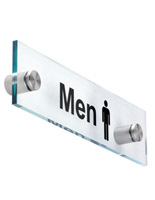 Stainless steel standoffs with brushed finish thread easily into the barrels. 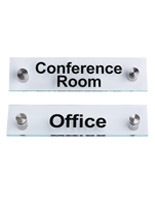 Helvetica font is printed on 2nd surface for a smooth, professional appearance. 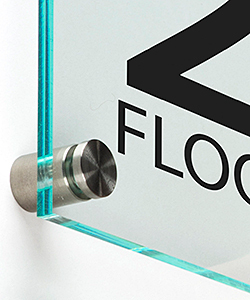 The text is permanently applied with our UV flatbed printer; no vinyl graphics to peel off or shrink. 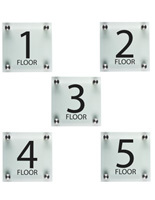 Since the interior wall signs are transparent, it is recommended to install the architectural signage on light-colored surfaces and doors. 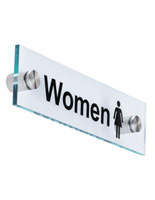 Dark colors and wood-grain finishes may make the displays too difficult to read. 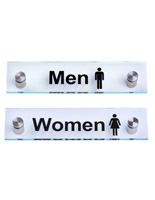 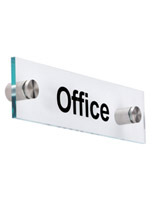 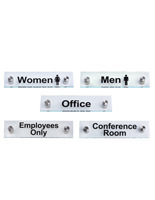 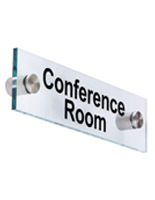 Point office employees or business patrons where they need to go with a restroom or conference room sign. 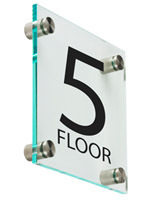 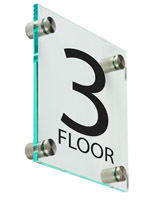 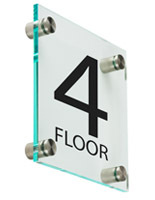 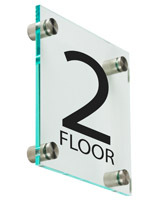 The floor level signs are intended for installation in elevator hallways and stairwells. 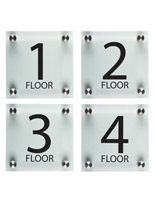 However we must point out these directional signage displays are not ADA compliant.